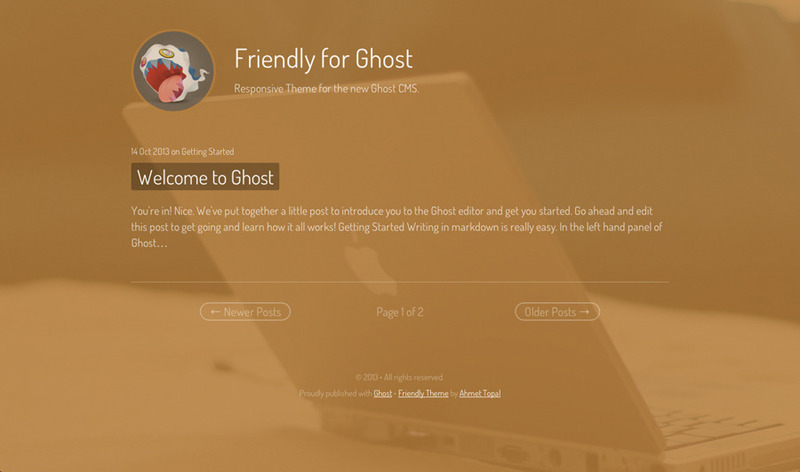 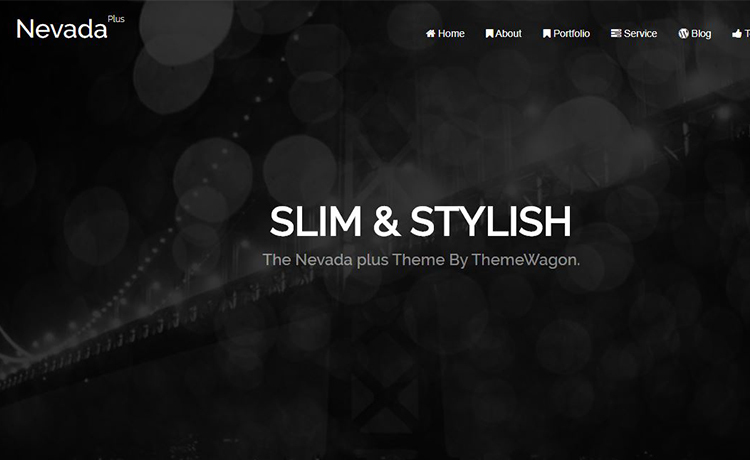 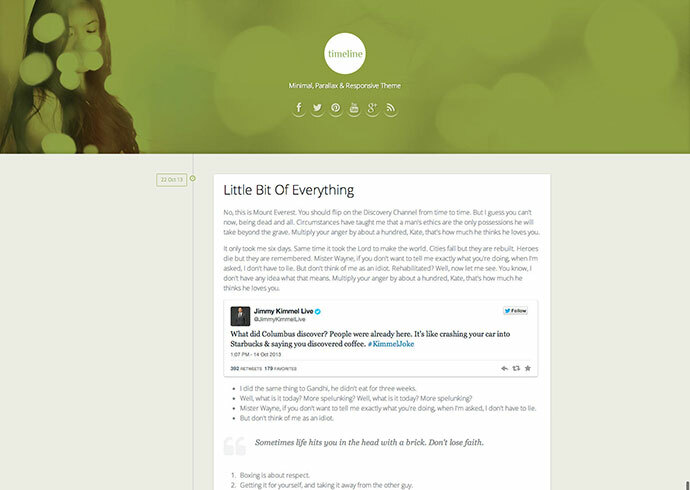 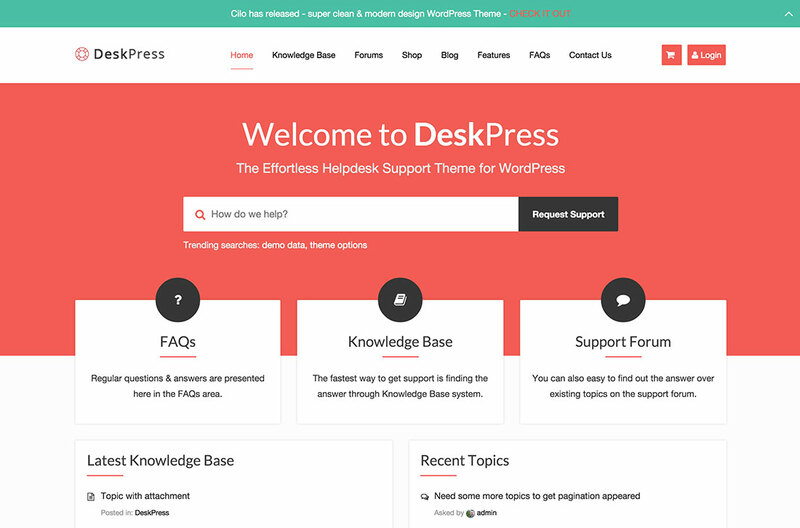 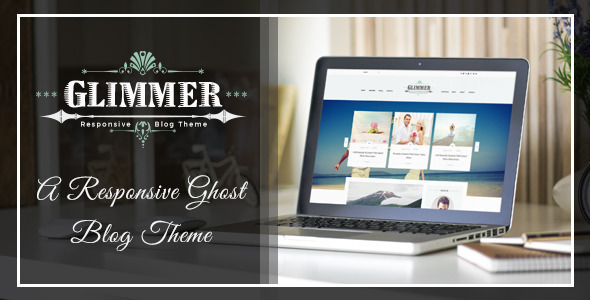 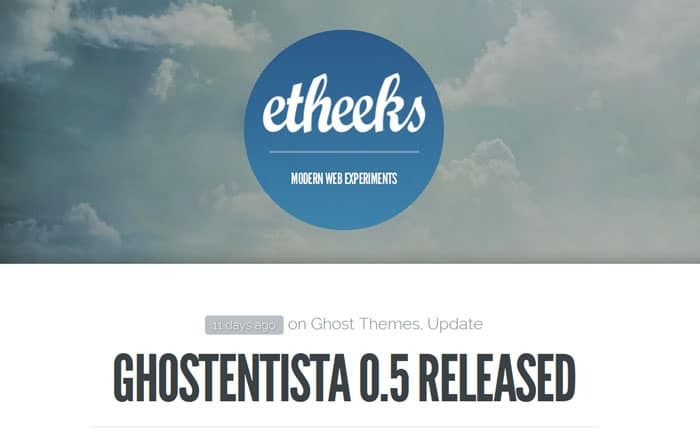 Retro Ghost Theme is a Old-School looking, retro style blog design. 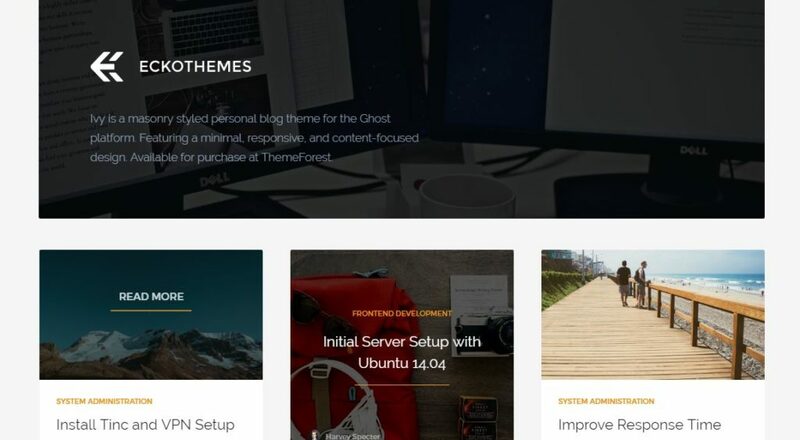 Packed with nice features like optional featured image for every post. 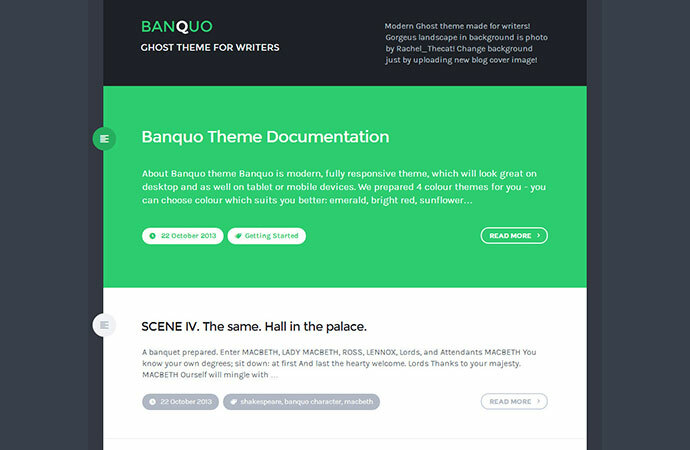 Banquo. 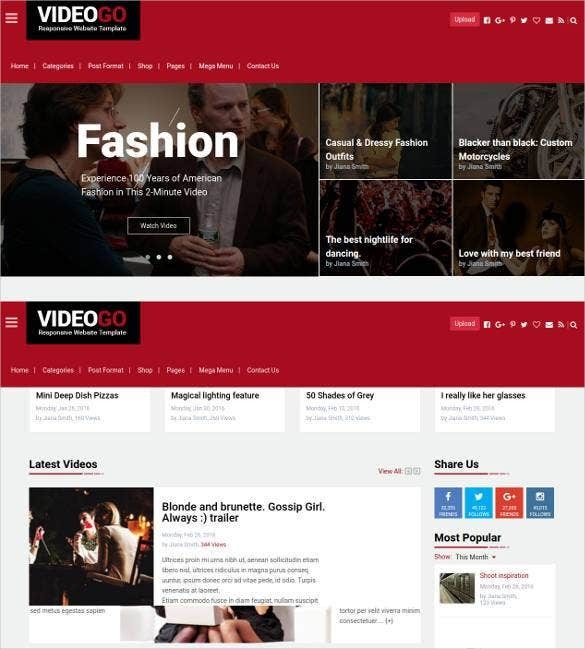 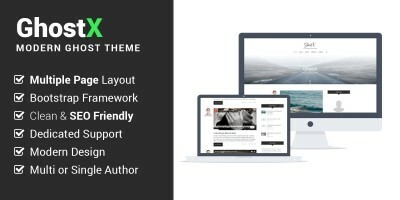 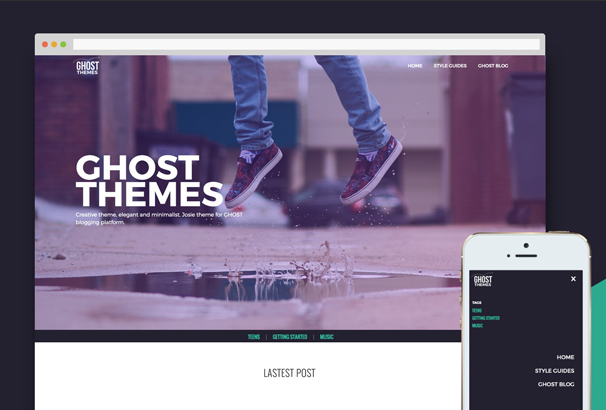 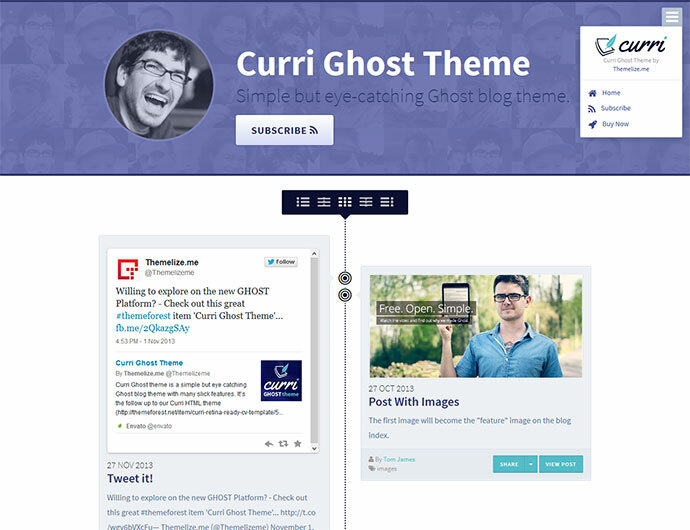 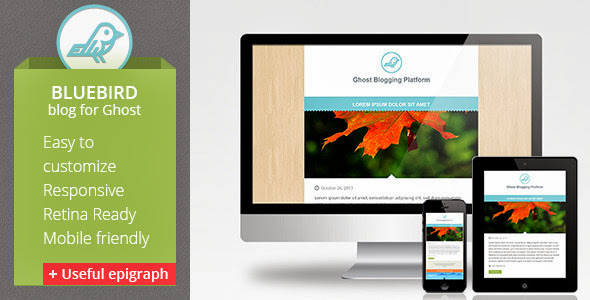 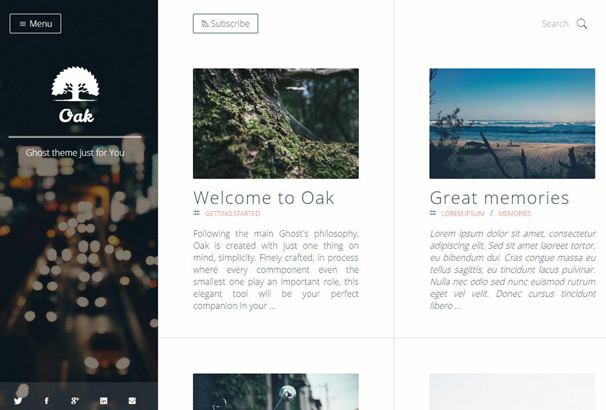 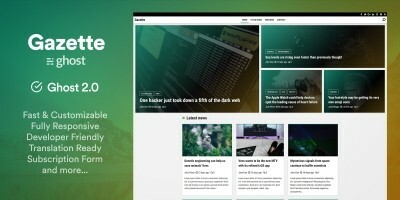 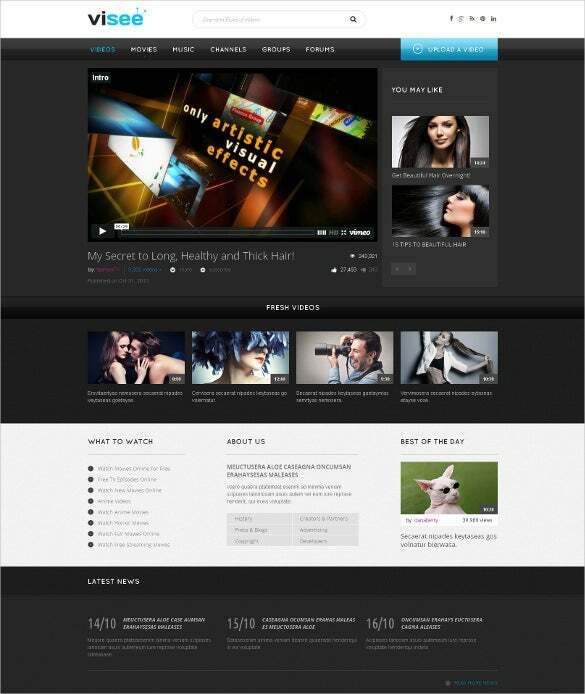 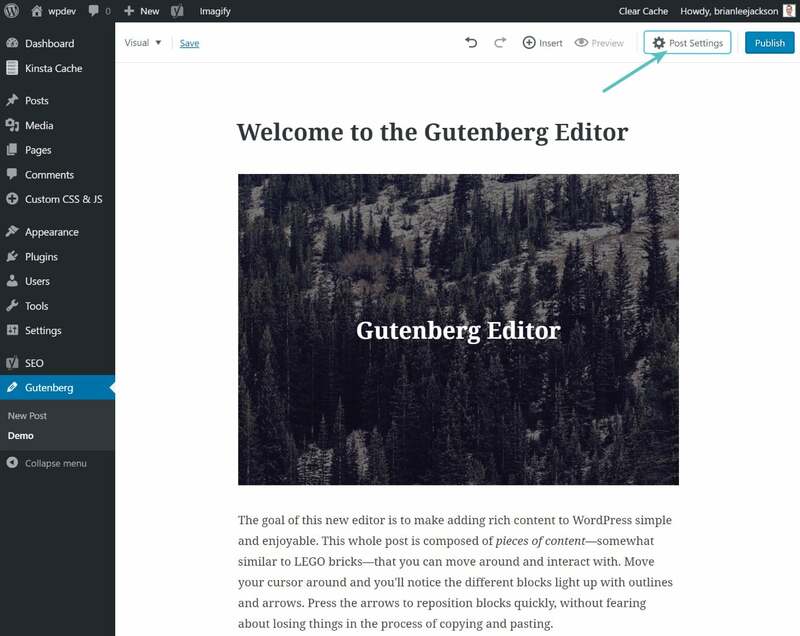 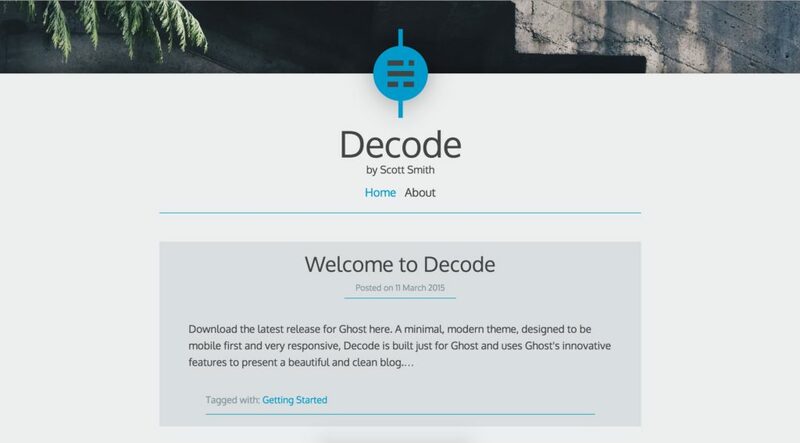 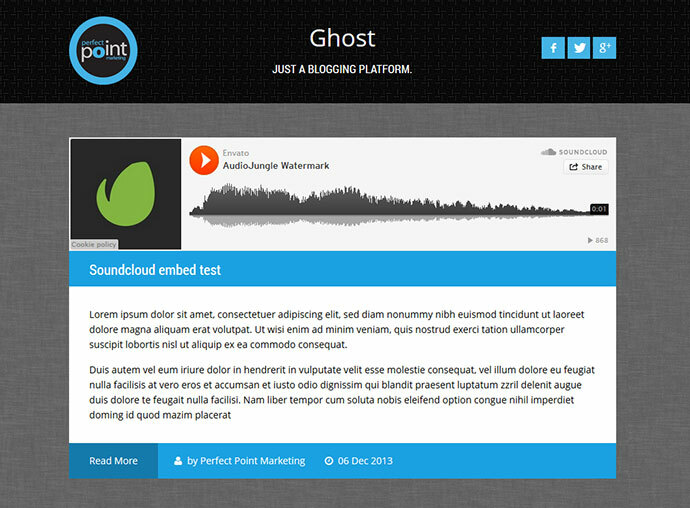 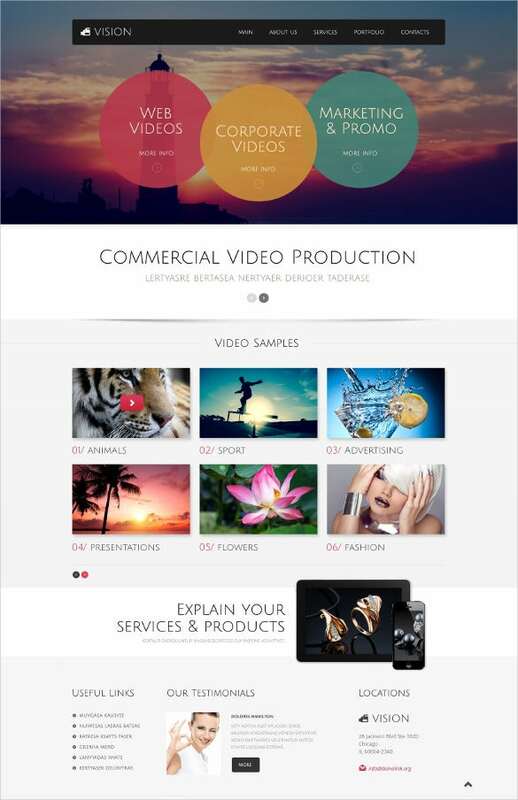 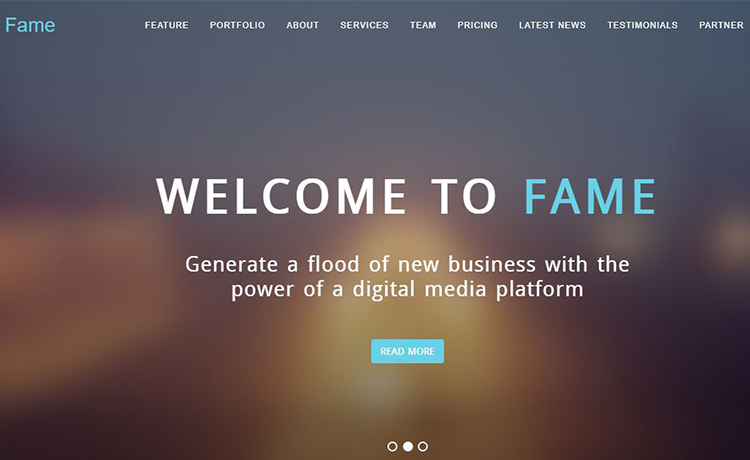 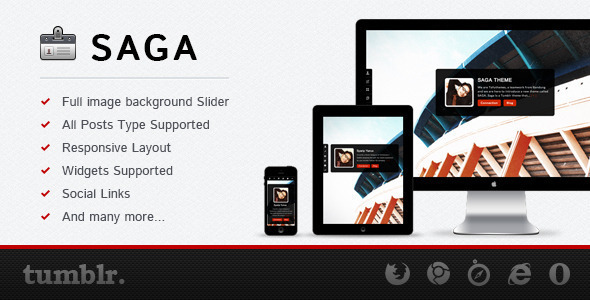 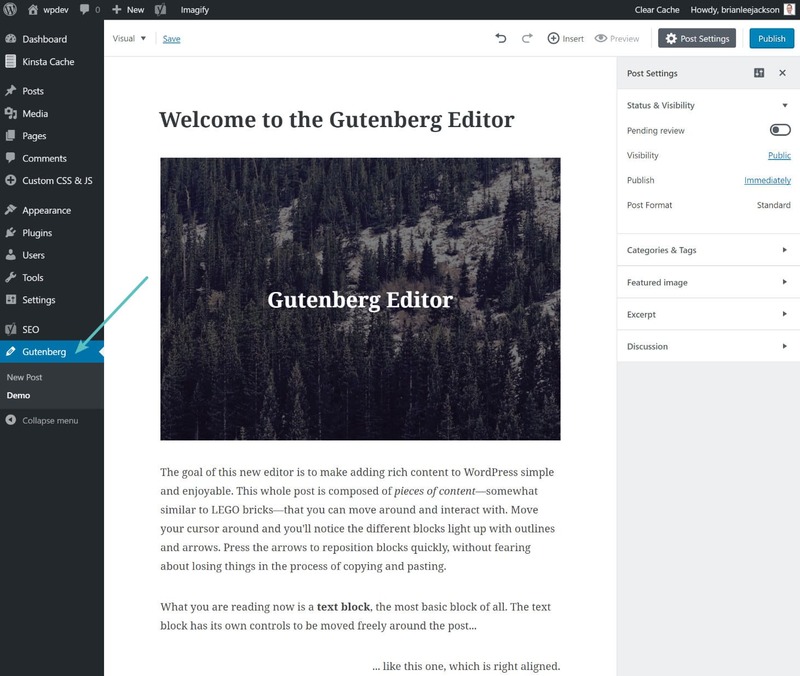 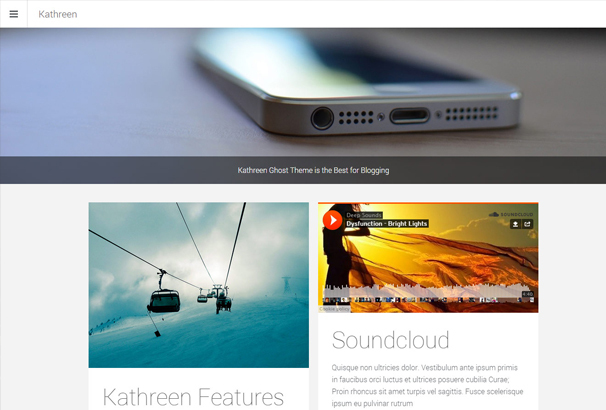 Banquo is fully responsive theme for blogging platform Ghost. 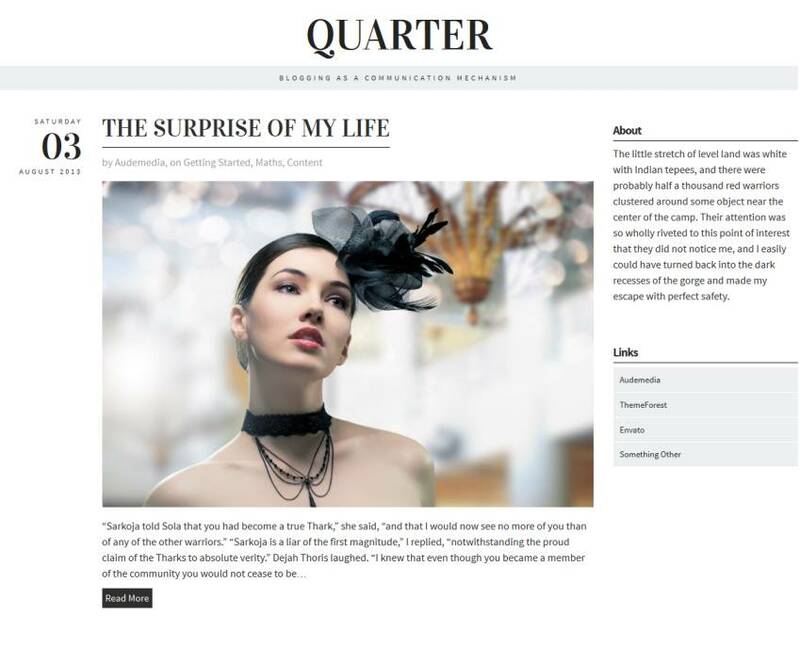 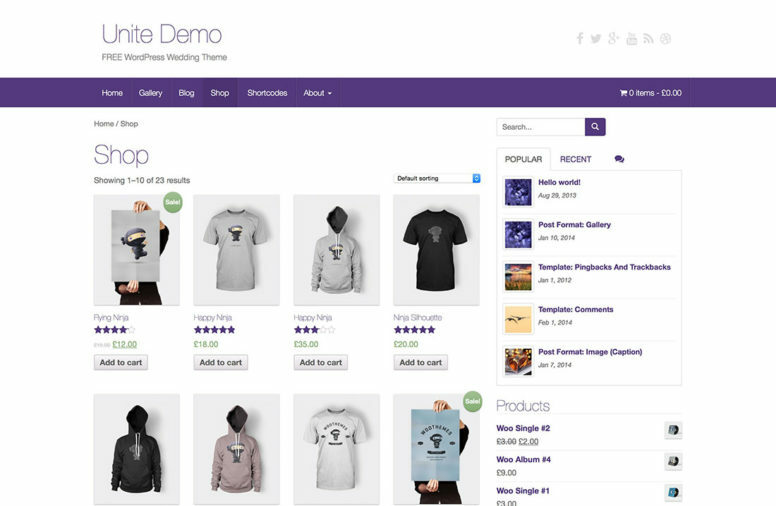 Me Squared comes pre-loaded with MailChimp integration right out the box. 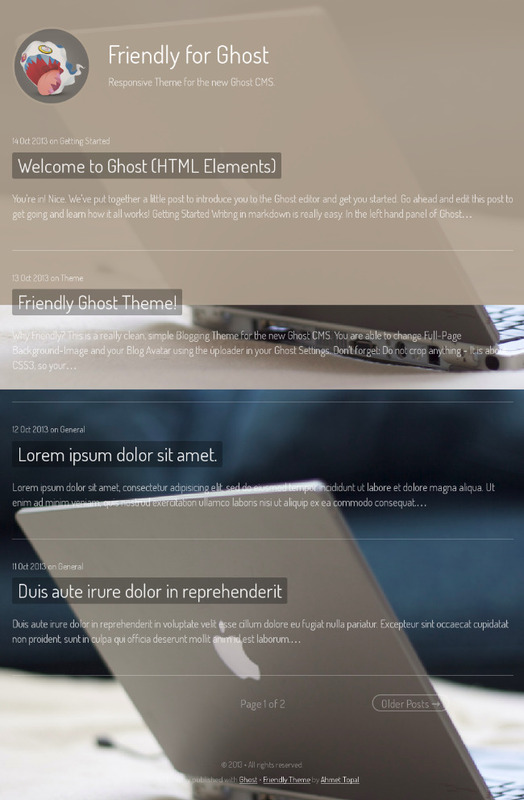 All you have to do is replace 1 string within the template, and your done! 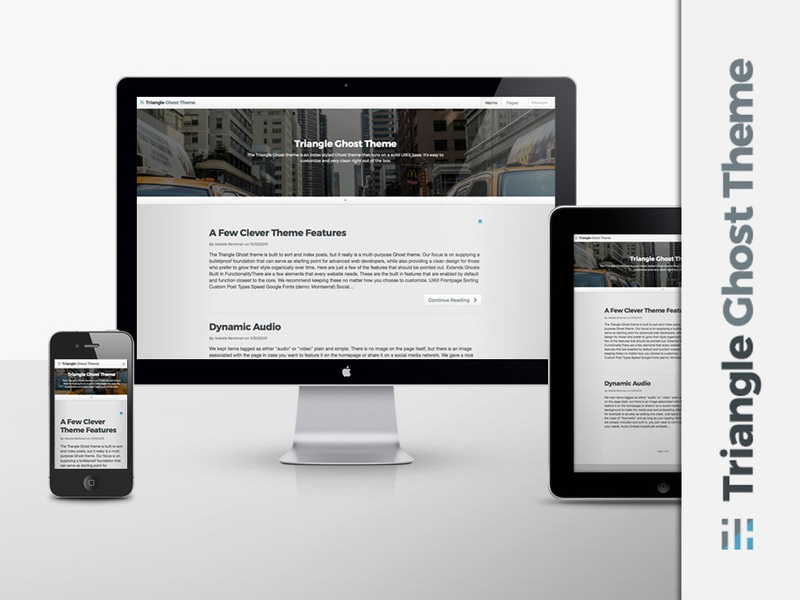 Timeline. 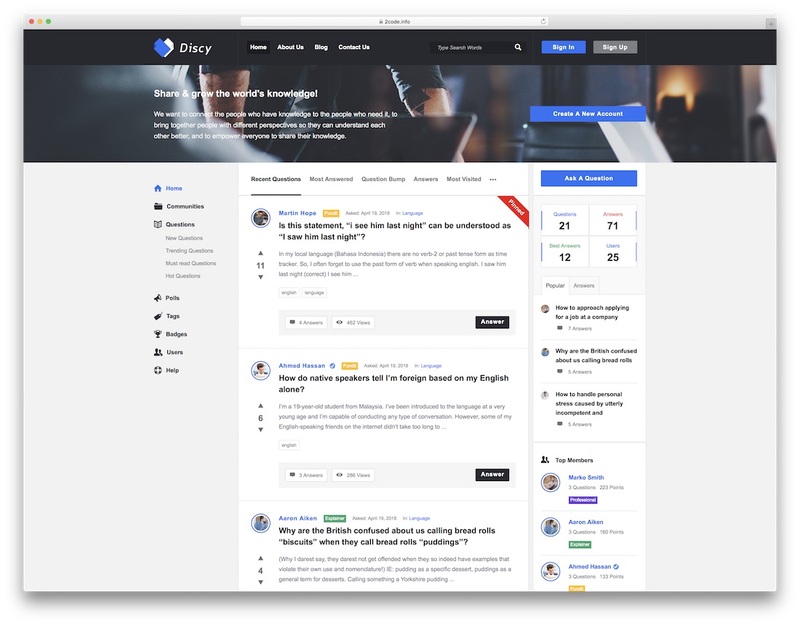 Cost: $18. 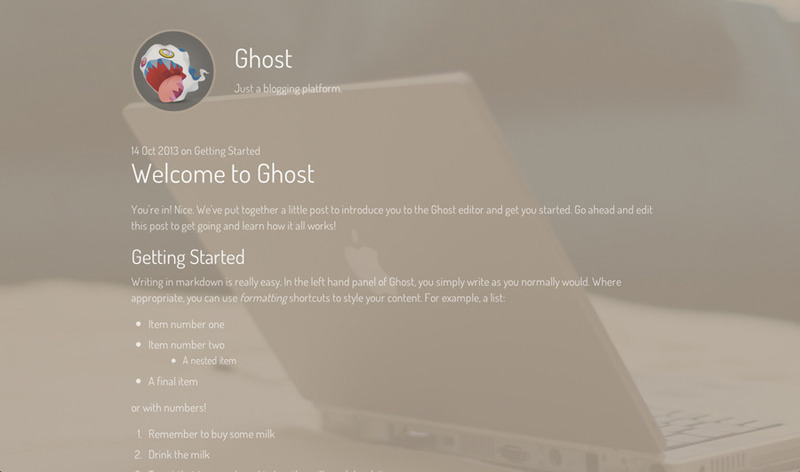 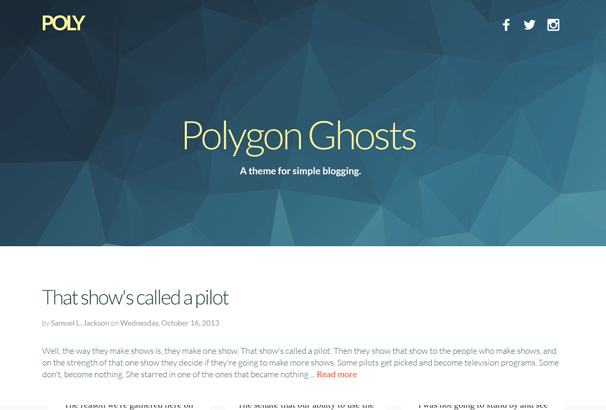 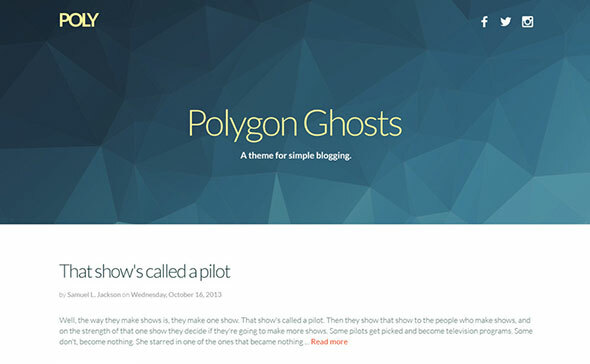 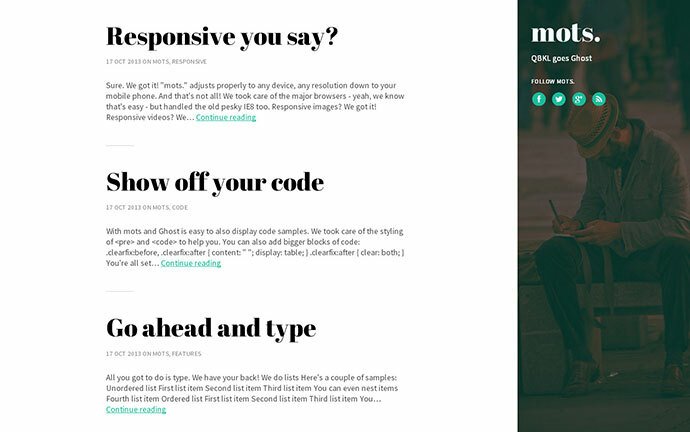 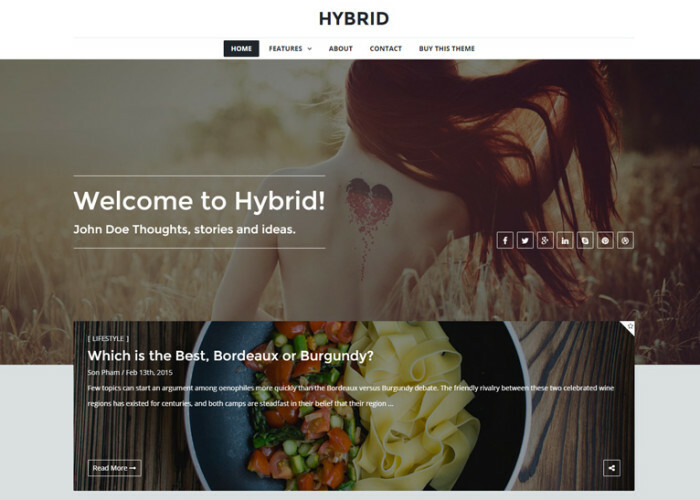 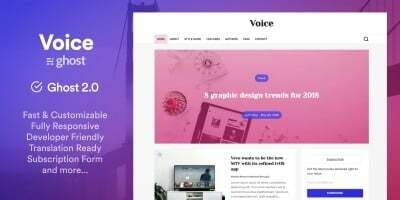 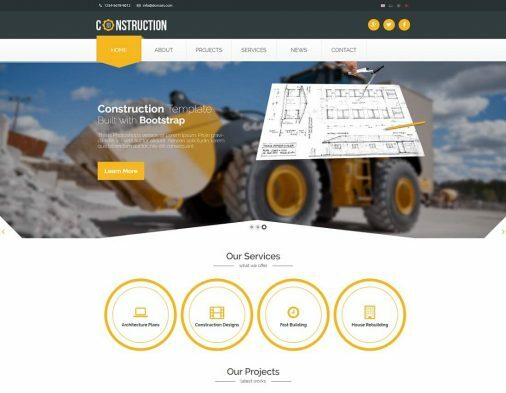 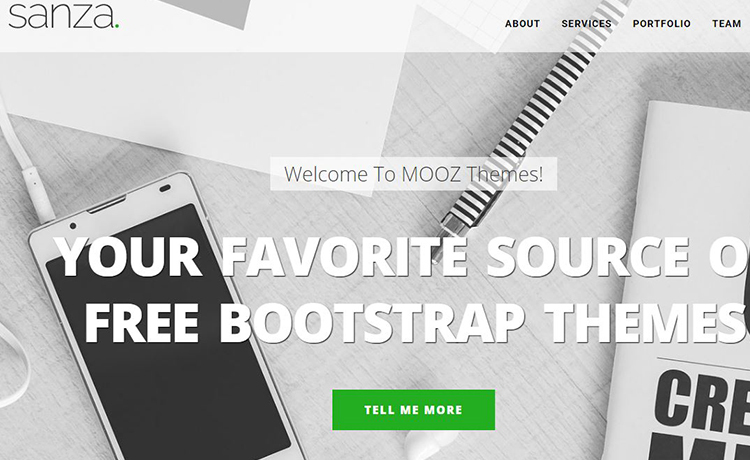 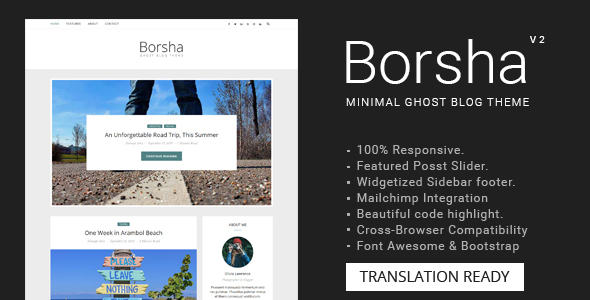 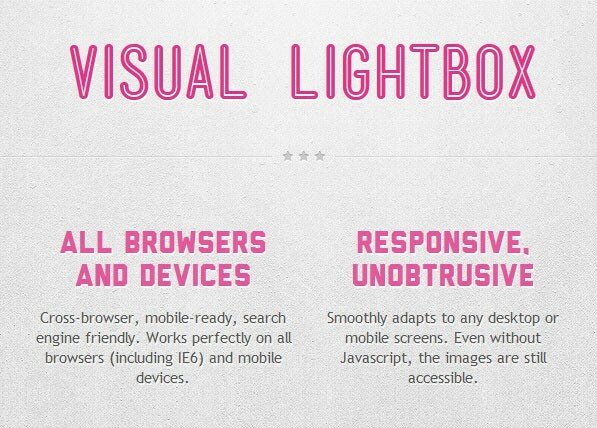 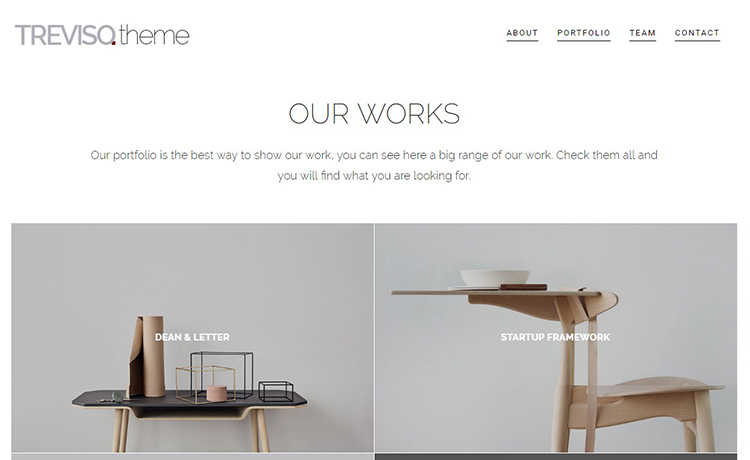 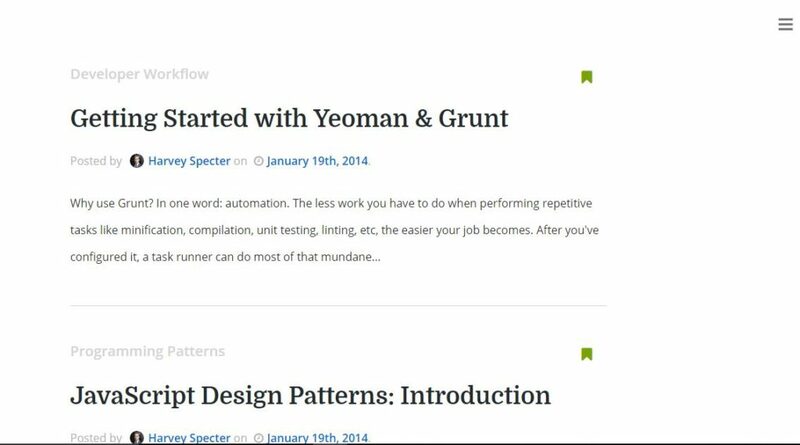 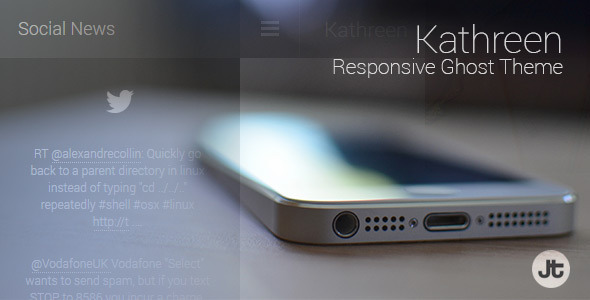 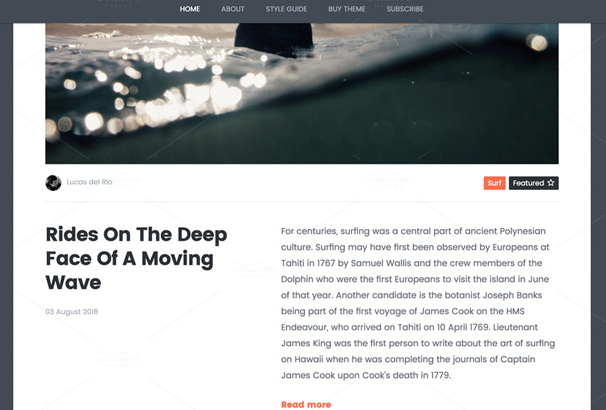 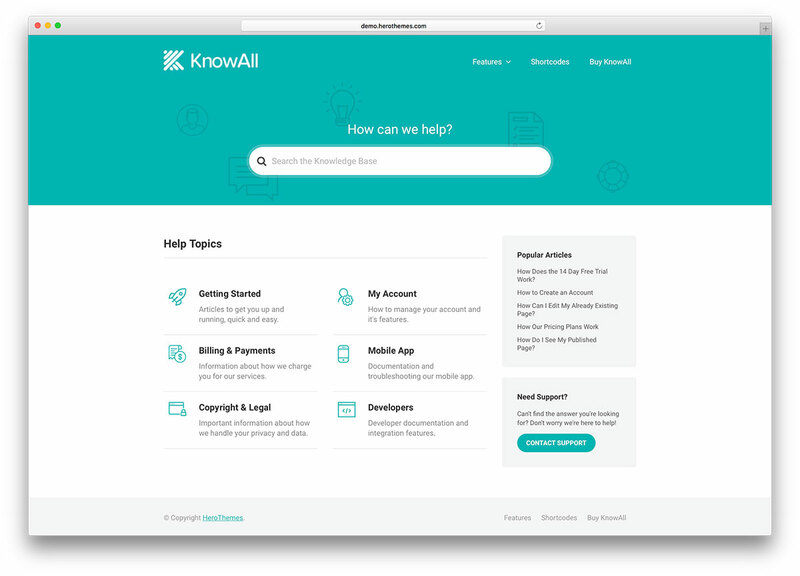 Minimal, Parallax, 100% responsive for Ghost Blogging CMS.